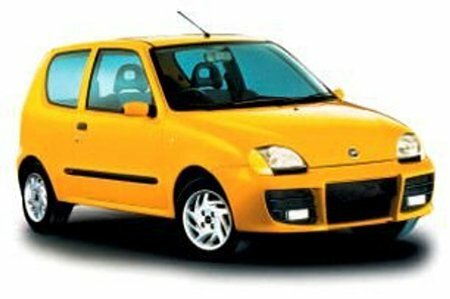 Used Fiat Seicento Review - 1998-2004 | What Car? What's the used Fiat Seicento hatchback like? City cars aren't normally renowned for their cute looks, but this is where the Seicento steals a march on its rivals. Compared with the high-sided and boxy competition, the Seicento looks like a proper car, but in miniature. However, there's a good reason that the competition is built that way - it gives more space inside. And, since Fiat chose to go another way, the Seicento is seriously cramped. The Seicento drives well enough if you stay in town, but its weak engines, so-so handling and patchy ride mean that it struggles everywhere else. It will hit the motorway limit, but it takes an age to get there, and is horribly noisy once it has. No version is particularly well equipped, and the base car is extremely sparse. But, perhaps the most worrying thing is the omission of basic safety kit. Well, that and the poor two-star Euro NCAP crash test results.